New York Times bestselling author Pamela Redmond delivers a beautifully written novel about three generations of women in New York City and the experiences that shape and connect them to each other. The Possibility of You weaves together three interlocking stories involving three women dealing with issues of pregnancy and motherhood at key moments in history of the last century: On the brink of the First World War and the dawn of the modern age; as the liberalism of the ’60s and ’70s gave way to Reagan’s 1980s; and during the autumn of Barack Obama’s election. 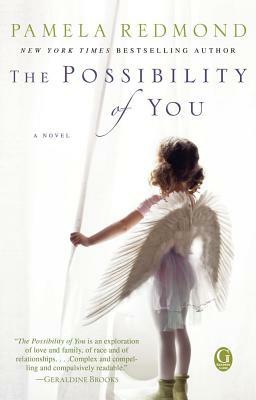 Contemporary heroine Cait, an African-American journalist raised by white adoptive parents, goes on a search for her birth mother inspired by her own unplanned pregnancy. Orphan Billie travels from her hippie upbringing in San Francisco to discover the upscale New York grandmother she never knew existed. And Irish nanny Bridget loses the boy she cares for and loves in the 1916 polio epidemic, only to try and replace him with a child of her own. Delving into the complex emotions that lie at the heart of unplanned pregnancy, motherhood, and the definition of family, this sweeping inter-generational saga illuminates the struggles of these very different women—and shows how the search for belonging is a connection that remains universal. “Seamlessly weaving the present with the past, THE POSSIBILITY OF YOU is an exploration of love and family, of race and relationships that combines the best elements of a family saga with an intricate, Chinese box of a mystery story. Complex and compelling and compulsively readable." "Deeply satisfying and enjoyable and juicy. I loved the characters, loved the history, and felt like I was absorbed in a world that I didn't want to let go." "Every mother, daughter, wife, and friend will love this novel about women's lives across the generations: their passions, their challenges, their unbreakable bonds. A gift to savor for yourself and to share with every woman you know."